It’s that time of year again, when I — along with The High 48s — get to mentor the talented kids at MBOTMA’s Grass Seeds Academy! 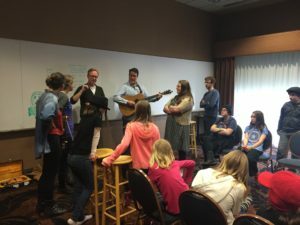 Grass Seeds is a weekend-long bluegrass jam camp that takes place during the annual MBOTMA Winter Bluegrass Weekend, March 1-3 at the Crowne Plaza Minneapolis West in Plymouth, MN. This is a workshop for young musicians ages 8-18 who play acoustic guitar, banjo, bass, dobro, fiddle/violin/viola or mandolin and are interested in learning to play bluegrass with others in a fun and relaxed setting! 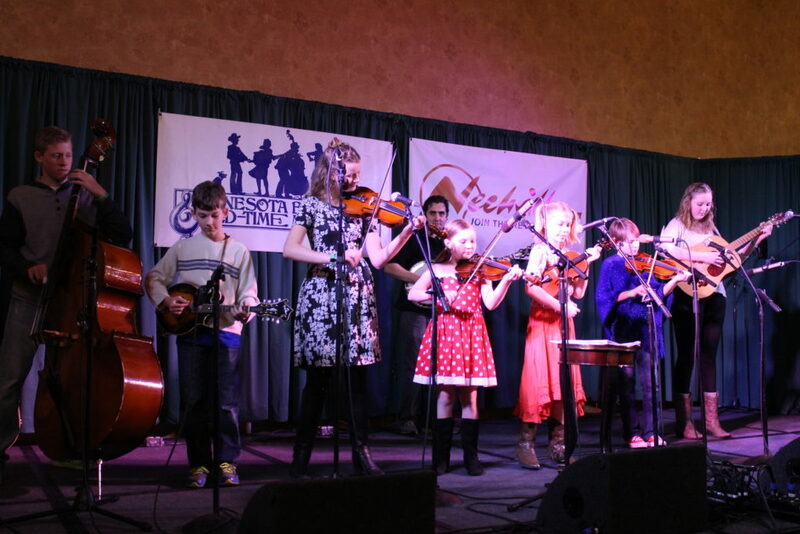 The kids will learn the ins and outs of playing bluegrass music in a group, with sessions covering their individual instruments, lead and harmony vocal singing, arranging songs and even performing in a group around a microphone. The weekend culminates with a main-stage performance by all of the student bands and we guarantee you will be blown away with how far these kids come in just a few short days! No bluegrass experience is required to join Grass Seeds, just an instrument and a willingness to learn! This year The High 48s will be joined by fiddle instructor Jillian Rae and mandolinist/multi-instrumentalist extraordinaire Chris Silver, who will be leading Grass Seeds 2 (GS2), a contemporary bluegrass group for advanced students. ← The High 48s — 2019 Bluegrass Brunch! Click “book now” to schedule a lesson!